Across the world, over a billion people require assistive technology. Although progress to help people with disabilities has been slow, there is a growing range of disability-focused technology products. These are helping everyone to have the same quality of life, by supporting people to achieve certain simple, yet vital, daily tasks. Below you will find three of the latest products to provide value to people with disabilities. These don’t only make daily life easier, but could potentially save lives and increase levels of mental health. Diabetics need to keep a close and regular eye on their blood sugar levels. However, this usually involves a painful pin prick, which makes daily life more uncomfortable. A new piece of tech, known as Glucowear, is set to change this. 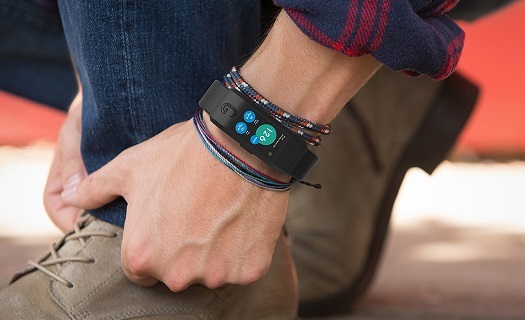 The simple wristband, which looks similar to a Fitbit or Apple Watch, is a non-invasive and convenient way for people with diabetes to monitor their health. It continuously measures the blood and sends real time information to a smartphone app. This helps a person with diabetes to stay healthy or seek treatment before it’s too late. If you are looking to create a home environment with assistive technology, then it is the simple, but entirely necessary, homeware that you should begin with. Cutlery is something that most people don’t ever think about, but for someone with Parkinson’s or Cerebral Palsy, muscle tremors and lack of coordination are common symptoms. Liftware is a new kind of spill proof cutlery. These knives, forks and spoons are automatically stabilizing, allowing the user to keep their food steady and eat with ease. Eating is of course essential to survival, but in the modern age it should also be a luxury and pleasurable experience. Liftware allows this experience for all. For people living with epilepsy, seizures are a constant threat, occurring in any place and at any time. Until now, detecting that one is about to occur has been nearly impossible and the seizure itself can cause distress and injury. The Seizure Monitoring and Response Transducer (SMART) belt could be a game-changer and life saver. The simple, comfortably fitting belt straps around the chest, detecting changes in skin conductance and breathing rate. This technology was originally used in lie detectors, but is now helping those with epilepsy to go about their daily life, free from the fear of a seizure. It ensures that preventative action can occur and treatment can take place early on. This allows a caregiver the time to arrive and ensure that the person affected stays safe and recovers quickly. Sometimes, daily activities that feel simple and mundane can cause stress and discomfort to others. The solution is often an ingenious bit of tech. The technology listed above can be worn around the house by those who require it, meaning they can enjoy a high quality of life. Keeping some of these items in your home could make it more accessible to more people and contribute to a world which is welcoming and tolerant to all. This entry was posted in At-Home Medical Care Products and tagged healthcare products. Bookmark the permalink.